Welcome golden November! As you think about getting a massage, wanting a massage, in this sumptuous autumn, pre holiday season — make it a reality! Massage is close by! 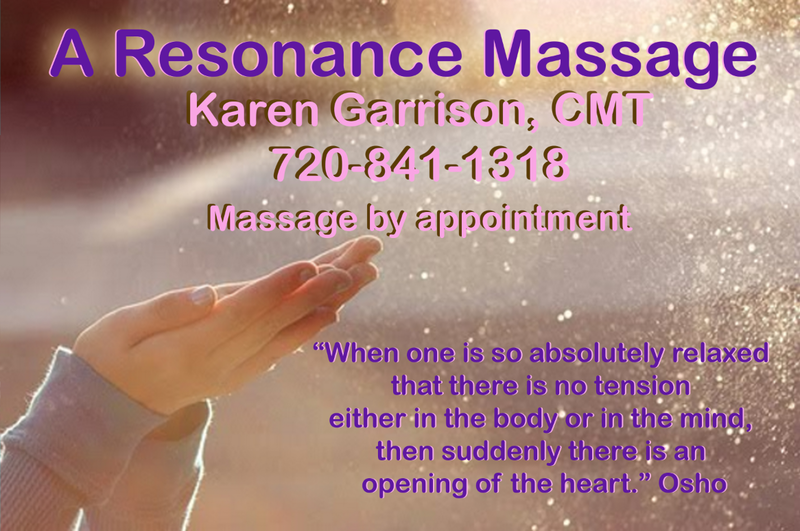 Nourish yourself and those you love this month by offering yourself or them, the ‘pause’ and peacefulness of massage! Call me to make an appointment. I have openings this Friday, November 4th, in office or home.